7. Follow this tutorial on how to blow up your Instagram pics. dotcomsformoms.com | Here’s the link. 8. Attach fabric to your wall with liquid starch. 9. 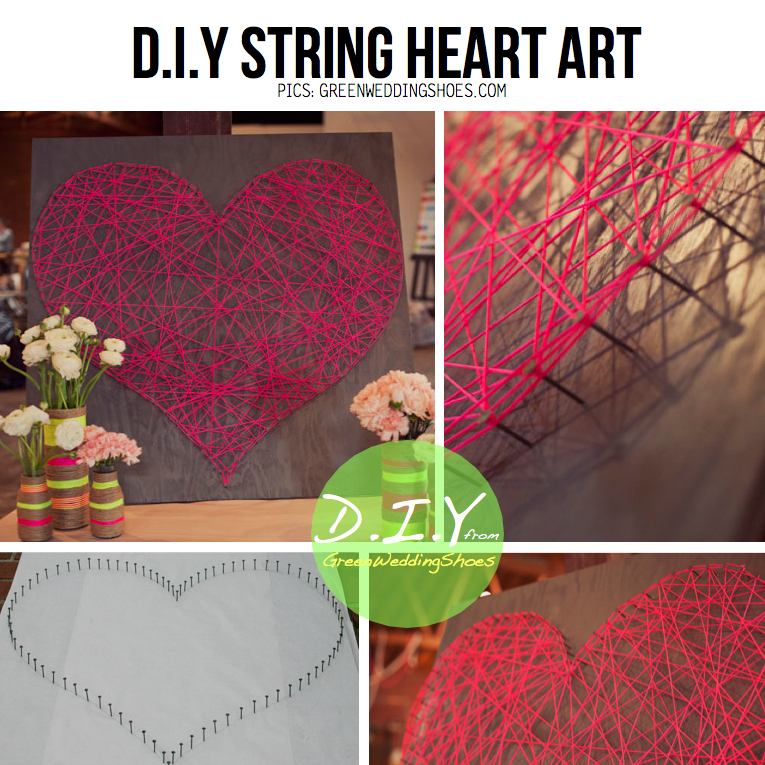 Create string art with embroidery floss or yarn. 10. Make a wipe-off board with patterned paper inside of a frame. ohhappyday.com | Get the instructions here. 12. Use household items to hang pictures. 13. Make a display with shoe boxes. 14. Stencil letters onto a thrift store painting. 15. Use foil tape to create a wallpaper-like design on a wall. 16. Create constellation art with string lights and a canvas. su-casa.casasugar.com | Get the full directions here. 17. Paint coffee stirrers and arrange into an art piece. makeanddogirl.com | Get the tutorial here. Flickr: citypix | Doilies and orange thumbtacks! whiletheysnooze.blogspot.com | Get the full directions here. 21. Organize art supplies into a rainbow display. 22. Make a vertical hanging succulent garden. lefrufrublog.blogspot.ca | Get the directions here. 23. Create a pegboard using colored pencils and string. karapaslaydesigns.blogspot.com | Get the full tutorial here. 24. Turn leftover wine corks into wall art. projectrowhouse.blogspot.com | Get the tutorial here.